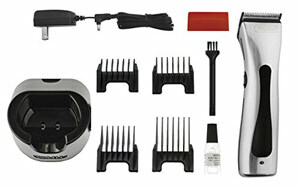 Is The Wahl 8868 Figura Rechargeable Dog Clipper A Good Blend Of Performance And Design? The basic specification for the Wahl 8868 Figura Rechargeable Pet Clipper makes it sound as though it will be the ideal package with its additional items, high-end blade and, above all, its power. This device offers as much as 6000 strokes a minutes to cut through hair with speed and ease and includes a 5-in-1 adjustable blade – to increase the versatility and make it suitable for lots of different pets – and a cleaning brush, blade oil and instruction book. 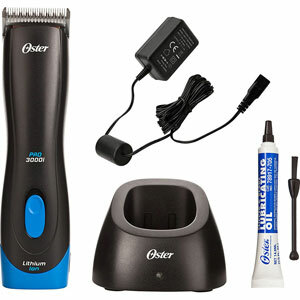 Is this combination of features enough to keep pet owners and their pets happy enough for a successful grooming session? 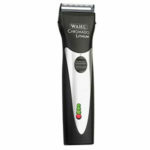 What benefits have users mentioned in their reviews for this Wahl 8868 Pet Clipper? 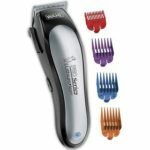 One of the interesting points in the specification of this model is that it has a “new ergonomic, curved design” and many users have picked up on the way this this sleeker, smaller design is a improvement on other clippers they have used in the past. The light weight of 9.4oz also contributes to the great handling that users have experienced and there are no reports of fatigue or discomfort from using this device for long periods of time, which they can easily do thanks to the long battery life of the lithium-ion battery. This 90 minute life is a lot longer than most users had expected from the device and this pleasant surprise meant that some were even able to clip two dogs effectively on just the one charge. At addition to this, once the Wahl rechargeable dog clipper finally does give up and run out of power it does not take very long to charge up again and there is also the ability to create 5 extra minutes of running time for missed spots and tidying up with just 10 minutes of charging. This is all fantastic for pet owners because it makes the chore of pet clipping much more enjoyable but there are also a number of key benefits to this appliance that apply to the pets too. One of the interesting claims in the specification is that even though this is a pretty powerful model, it limits the vibrations so that animals do not get too distressed. 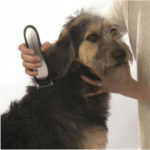 Buyers have supported this by saying that the device is almost vibration free and that their more nervous pets do not seem to mind being groomed with it. This pet-friendly nature is then aided by the lack of noise that is produced and the fact that it does not heat up too much. 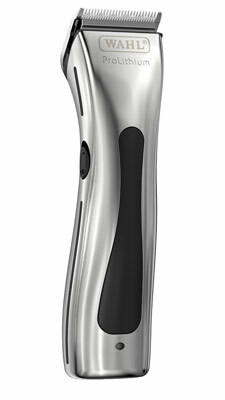 If the Wahl 8868 Figura Rechargeable Pet Clipper is pet-friendly and human-friendly, does it have any flaws to its design or performance that prospective buyers need to know about? There are a few people who have written slightly more negative reviews that question the “professional” tag attached to this device. This is because they have had trouble getting in very close where necessary or because they felt that it doesn’t cut their cat’s hair on the first pass because of the guards. Others disagree with this, saying that it does offer a great cut on even thick, coarse dog coats, and point out the additional benefit of the adjustable blade. The problem here, however, is that there are elements to the design and construction that lead buyers to continue to mark the product down on its professionalism. Some say that the charging stand is poorly designed because the cord doesn’t stay plugged in very well while others are more concerned that the plastic construction will result in breakages. Summary: are these flaws enough to limit a recommendation on this Wahl Rechargeable 8868 Figura? It is clear that the construction issue and the disagreements on the quality of the cut mean that this device will not suit everyone; there will be some that will be just too disappointed in the lack of overall professionalism to see the full benefits and others that really appreciate the thought that has gone into the other aspects of the performance and design. There is no doubt that the Wahl Figura will make most pets happy because of the lack of noise, heat and vibration but their owners will continue to disagree. If you want something completely bulletproof and effortless then it may be worth looking elsewhere but if you want a clipper that is ergonomic and cordless with a long battery life, you cannot go too wrong with this Wahl clipper. Find more reviews about the Wahl Figura Professional Lithium Ion Rechargeable Pet Clipper on Amazon here.